Our Guided Approach takes complicated standards and breaks them down into more understandable, manageable parts. Cognition Corporation (http://www.cognition.us), a software company specializing in medical device compliance and commercialization, located in Lexington, Massachusetts, has announced two upcoming webinars: “A Guided Approach to 21 CFR 820.30”. David Cronin, Cognition CEO, will host the two events, the first on Wednesday, August 3 at 9:00 AM EDT and the second on Tuesday, August 9 at 3:00PM EDT. Mr. Cronin will give an in-depth look at the Design Controls process as explained by FDA and demonstrate Cognition’s Guided Approach for completing the Design Controls regulation. In today's changing regulatory environment, rapid compliance is more important than ever. 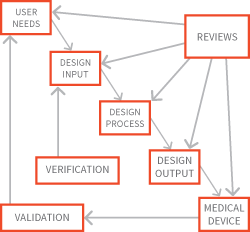 Efficiently demonstrating system safety and efficacy is a top challenge facing medical product development teams. The Cockpit Platform guides teams through the product development and regulatory processes, making the creation of submission deliverables a fluid part of daily tasks. Cognition’s powerful guided approach to regulatory compliance is a combination of the base Cockpit Platform and a specialized set of templates created for specific standards. Cognition offers a template to complete the Design Controls exercises explained in 21 CFR 820.30. In the hour long webinar Mr. Cronin will dive into the Cockpit Platform and show how simple compliance can really be with this guided approach. Want to learn more? Register Now! Cognition Corporation, headquartered in Lexington, Massachusetts, has been offering solutions for medical device compliance and commercialization for more than ten years. Cognition’s Cockpit Platform provides the framework for the extensive set of compliance templates they offer. These templates along with professional services give companies a jump-start to reduce time to market.